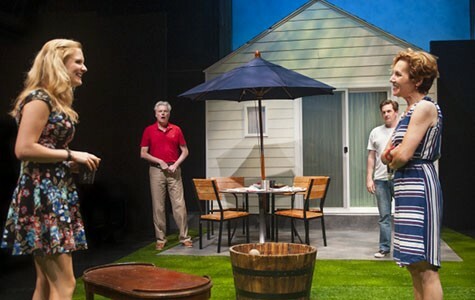 Aurora Theatre's Detroit shows that "keeping up with the Joneses" isn't always the best idea. The actors in Detroit are a remarkable fit for their roles. In 2009, playwright Lisa D'Amour set out to write a piece that reflected the moral and financial bankruptcy that was occurring behind the pristine picket fences of suburbia. People were losing their jobs, camaraderie between neighbors was yesteryear's sentiment, and the common path to middle-class success — college, marriage, kids, retirement — was looking more like an American pipedream than one with actual promise. Her ruminations led to the Pulitzer Prize-nominated play Detroit, which is making its Bay Area debut as the final show in Aurora Theatre's 23rd season. Directed by Josh Costello, this version of the acclaimed production reaffirms the original's status as a seminal work, important for its probing of listlessness and despair after financial hardship. The small cast is worthy of a standing ovation, and, despite lagging at times, the play's sharp critique on America's tattered social fabric is delivered elegantly. 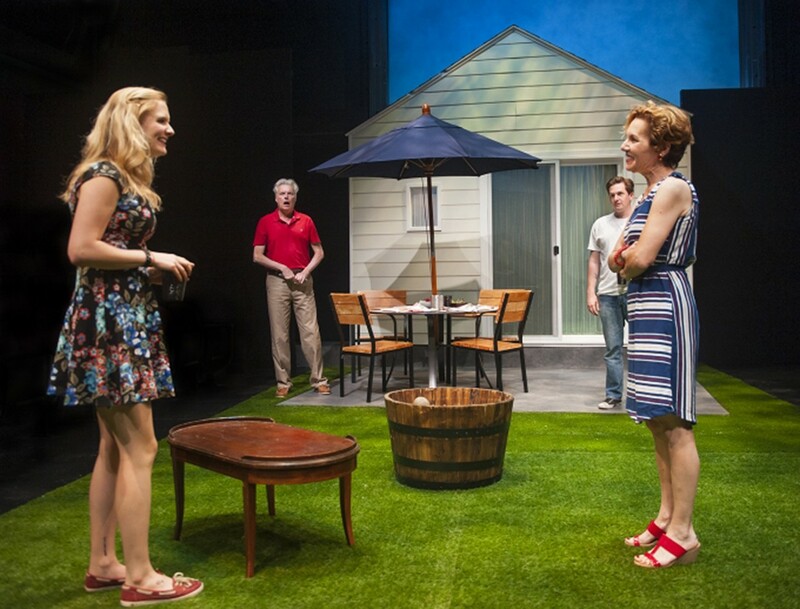 Married residents Ben (played by Jeff Garrett) and Mary (Amy Resnick) welcome their new neighbors, Sharon (Luisa Frasconi) and Kenny (Patrick Kelly Jones), to a backyard barbecue. As one of the comedic high points of this production, their first get-together is typical of any awkward, small-talk-encumbered meeting, made all the more foreign by the characters' realization that neighborhood get-togethers just aren't done these days. "Neighbors. I mean why is that word still in the dictionary?" asks Sharon, who perches on a chair uncomfortably, looking completely out of place in the picture-book backyard. "Does anyone borrow a cup of sugar anymore?" It's clear that the unlikely foursome has nothing in common except for shared location. Emotionally repressed Ben and neurotic Mary have been on the straight and narrow presumably since birth, and are reeling from Ben's recent lay off, while Sharon and her husband, Kenny, have a checkered and mysterious past that includes trips to rehab and a scant employment record. The way things pan out is hardly predictable, but the melancholic tone of the quick dialogue doesn't signal a happy ending. Somehow, despite their differences, the two couples form a genuine friendship, confiding secrets and relaxing in one another's company. But beneath the cheerful suburban exterior, trouble is brewing. A patio umbrella wounds Kenny's head, the grilled burgers get burned, and these telltale accidents continue to accumulate. It becomes increasingly clear to the audience that communication between these two disparate groups is dangerous. As the play continues and more is revealed — and concealed — about each couple, an age-old question emerges: How well do we really know our neighbors? Despite being billed as a comedy, Detroit feels like a funeral for the American Dream, and any laughs in the play's second half are infrequent or a result of gallows humor. It's a gloomy affair, albeit a well-produced one. Though the term "Great Recession" never actually make it into the dialogue, the financial crisis hangs like an invisible backdrop, coloring the entire production. The characters speak of "reclaiming a financial future," quick mortgage fixes and other hollow phrases culled from a self-help book, as if simply saying the words will get Ben his job back and catapult Sharon and Kenny back to their feet. In truth, Costello's production isn't comical as much as it is a profound 21st century tragedy about people who don't know what to do with themselves after everything they believed in collapses. The actors, particularly Resnick and her portrayal of Mary's high-strung temperament, are a remarkable fit for their roles. In a seemingly endless party scene, it's Resnick's stage presence that propels the story forward, her shrill one-liners acting as the voice of reason in a section of the story in which, for a long while, there doesn't seem to be any. Meanwhile, Frasconi, who makes her debut on Aurora's stage as Sharon, delivers some of the play's most thematically telling monologues with a crowd-winning sense of authenticity. Ultimately, Costello and the cast close Aurora's 23rd season with a fiery bang, but allow D'Amour's message about the American-Dream-gone-wrong to take center stage. When the lights dim for the final time, the audience is met with the same uncomfortable realization that slowly dawns on the characters: Perhaps the bold American promise of a prosperous future was broken from the start.